Dr. Sheila Dean, DSc, RDN, LDN, CCN, IFMCP is a registered and licensed dietitian nutritionist, board certified integrative and functional medicine certified practitioner, board certified clinical nutritionist, and exercise physiologist. She was a Certified Diabetes Educator with the NCDBE for 15 years. 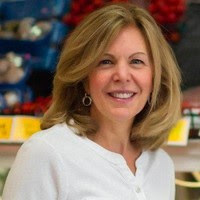 She received her undergraduate training through Rutgers University, completed her internship and graduate training with University of Rhode Island and Brown University’s teaching hospitals, received doctoral training in nutritional genomics and pharmacology through the University of Medicine and Dentistry of New Jersey (UMDNJ) and completed her Doctorate of Science degree through Hawthorn University. Dr. Dean has received advanced training in functional medicine and nutritional biochemistry through the Institute for Functional Medicine and is a board certified IFM practitioner. She has also worked with the Duke University Medical Center’s Endocrinology and Metabolism Disorders Clinic and the Joslin Center for Diabetes as a certified diabetes educator. Dr. Dean was the owner of Palm Harbor Center for Health & Healing, an integrative medicine based nutrition private practice and wellness center in Palm Harbor, Florida for 17 years. Palm Harbor Center for Health & Healing also has an official partnership with the Bay Pines VA Healthcare system for the BPVAHCS dietetic interns. An educator at heart, she has taught for 21 years as adjunct nutrition science professor at a variety of universities including the University of Tampa, Maryland University of Integrative Health, Schiller International University, St. Petersburg College and more recently University of South Florida’s Morsani School of Medicine. Additionally, she served as doctoral research advisor and content expert on integrative and functional medicine and nutrition at Saybrook University. 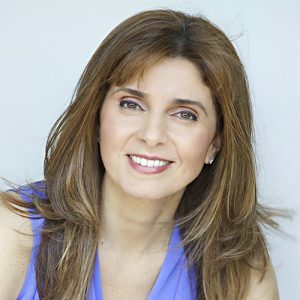 She has conducted dozens of local and national public presentations, has written continuing education credit functional medicine modules for both nutritionists and nurses, has authored book reviews and articles for The St. Petersburg Times, Ms. Fitness magazine, Ironmanlive.com website and has appeared on NBC – News Channel 8, NBC-Daytime, CBS-News Channel 10, ABC-News Channel 28, WTVT-TV Fox13-Good Day Tampa Bay, Natural Living-KONK 1500 AM radio, WFTW 1260 am radio, WDBO 580 am radio for dozens of interviews. Dr Dean also appeared regularly on WTSP 10 News for her segment entitled “Take 5 with Dr Dean”. An experienced scientific and technical writer, Dr. Dean is a contributing author of the medical textbook Integrative Gastroenterology published by Oxford University Press and has authored the chapter on Medical Nutrition Therapy for Thyroid, Adrenal and Endocrine Disorders in the clinical nutrition textbook Krause’s Food & Nutrition Care Process- 13th and 14th ed. She is also a contributing author of the upcoming 4th edition of The Health Professional’s Guide to Popular Dietary Supplements. Dr. Dean served on the advisory board for the nationally acclaimed Center for Mind-Body Medicine’s Food As Medicine professional education course and was the Professional Advancement Director for the Dietitians in Integrative and Functional Medicine dietetic practice group of the Academy of Nutrition and Dietetics as well as the recipient of their 2010-2011 “Excellence in Practice” Award. In August of 2016, Dr Dean was awarded “Distinguished Dietitian” by the esteemed Dietitians for Professional Integrity. Dr Dean is also the co-founder of IFNA™, the Integrative and Functional Nutrition Academy, a comprehensive online training and mentoring program designed to teach health care practitioners how to seek the true root causes of disease to restore optimal health and function and ultimately transform the practice of nutrition using the most effective integrative and functional nutrition diagnostic tools and treatment protocols for preventing and reversing chronic illness. She’s served as the consulting sports nutritionist for the Philadelphia Phillies, has consulted for the Tampa Bay Buccaneers, the Toronto Blue Jays and was the media spokesperson and columnist for the Ironman Institute and is the author of Nutrition & Endurance: Where Do I Begin? (Meyer & Meyer Publishing). Kathie Swift, MS, RDN, LDN, FAND, EBQ is a registered dietitian nutritionist who has been dubbed “the mother of integrative and functional nutrition” by thought leaders in the field. She is the recipient of the Visionary Leadership and Lifetime Achievement Awards by the Dietitians in Integrative and Functional Medicine Dietetic Practice Group and has also been recognized by Today’s Dietitian as “a dietitian making a difference”. Kathie maintains a heart-core approach to educating health care professionals. She received her Master of Science in Nutrition from Arizona State University and has held diverse positions throughout her career. Kathie pioneered leading-edge nutrition programs at Dr. Mark Hyman’s UltraWellness Center, Canyon Ranch Health Resorts, Kripalu Center for Yoga and Health and continues her work at all three organizations today. She has been the Education Director for the Center for Mind Body Medicine’s highly acclaimed “Food As Medicine” professional training program for 17 years. Kathie is a contributing author for the medical textbooks Integrative Gastroenterology and Integrative Women’s Health published by Oxford University Press and the clinical nutrition textbook Krause’s Food & Nutrition Care Process. She serves on numerous advisory boards including Genomind, uBiome, The Wonderful Company, Integrative Healthcare Symposium and Integrative Medicine: A Clinician’s Journal. Kathie is a scientific reviewer for Military Medicine and served on the Institute for Functional Medicine’s inaugural Nutrition Advisory Board. An inspirational educator, you’ll meet Kathie at numerous health and nutrition conferences and online summits. She has been interviewed in hundreds of articles published in the US and internationally. Kathie teaches her audience and students how to create vibrant, nourishing lives for themselves and their clients, combining the very best of modern nutritional science, integrative and functional medicine, mind body modalities, and ancient healing practices. She is certified in evidence-based Qigong (EBQ) and integrates an East meets West philosophy in her teaching. Kathie is the co-author of The Inside Tract: Your Good Gut Guide to Health with Dr. Gerard Mullin and a contributing author to Dr. Hyman’s NY Times Bestseller UltraMetabolism. Her most recent book, The Swift Diet: 4 Weeks to Mend the Belly, Lose the Weight, and Get Rid of the Bloat, with co-author Joseph Hooper features the latest science on the microbiome.